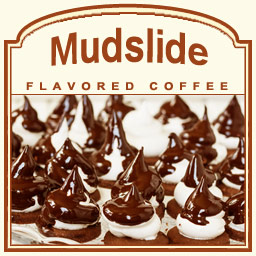 If you love the classic alcoholic drink known as a mudslide, your taste buds will love the Mudslide flavored coffee. This non-alcoholic coffee offers a fusion of flavors that will make your taste buds dream of chocolaty mudslides. With rich dark chocolate undertones swirling into a warm vanilla and light milky cream, this Mudslide flavored coffee will hit the spot with its perfected 100% Arabica beans. A heat-sealed valve bag will ensure the freshest coffee � which will be fresh roasted and shipped on the same day. 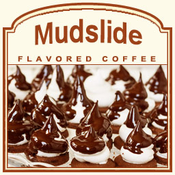 Delicious served hot or cold, this Mudslide flavored coffee has only 2 calories but loads of flavors that will sweep you off your feet and into a chocolate oblivion!